The #MeToo movement took Bollywood by storm when actor Tanushree Dutta accused veteran Nana Patekar of sexual misconduct during a music video shoot 10 years ago. While Tanushree paved the way for several other women in the industry to come forth with their stories, it looks like Bollywood still needs lessons on the appropriate way to deal with such situations. A few days ago, a woman who was a part of Sanju accused director Rajkumar Hirani of repeated sexual harassment over a six-month post-production period from March to September 2018. Detailing the accusations in a mail marked to Vidhu Vinod Chopra, his wife and journalist Anupama Chopra, his sister and director Shelly Chopra, and scriptwriter Abhijat Joshi, she said her "mind, body and heart were grossly violated." While Hirani's lawyer refuted the accusations, calling them "not only false but malicious and defamatory", a shocking number of Bollywood celebrities have defended Hirani, including Javed Akhtar, Arsha Warsi, Dia Mirza, Sharman Joshi and Boney Kapoor. The latest addition to the list of celebrities batting for Hirani is Sanju actor Karishma Tanna, who called the accuser 'immature'. She told an entertainment publication, "I would like to say that whoever is trying to do it, is very immature. Someone like him, a veteran and a respectable director and producer like him, I cannot even think of it. I have worked with him and it has been a brilliant pleasure and outstanding experience. When I heard the news, more than being shocked I was very upset." She even want as far as to suggest that it was the victim's fault, saying, "Whoever is trying to put allegations they should not forget that there is an option called NO." Tanna's comments are a perfect example of Bollywood's extremely problematic way of responding to #MeToo accusations. Let's make one thing clear: just because someone is 'respectable' and 'refined', it doesn't mean they're not capable of sexual misconduct. Celebrities jumping to Hirani's defence because they 'cannot believe it' not only discredits the survivor without due process, it could have a terrible impact on the movement itself. When you chose to give unquestionable support to a powerful man, before any investigations are made in the case, you're failing all survivors who have been through the ordeal. You're telling them their story doesn't matter, that no matter how loud they raise their voice, it will always be drowned by such 'supporters'. How can this change? First, celebrities need to STOP defending the accused right off the bat. We're by no means suggesting that false cases don't exist and that the accused is always guilty. But insensitive statements like these shut down the survivors and make the perpetrators more powerful. Support the victim and tell them you will take their accusations seriously. Ask them to make an official police complaint, and then let the law take its course. Vinod Chopra Films (VCF) is leading by example in this case. 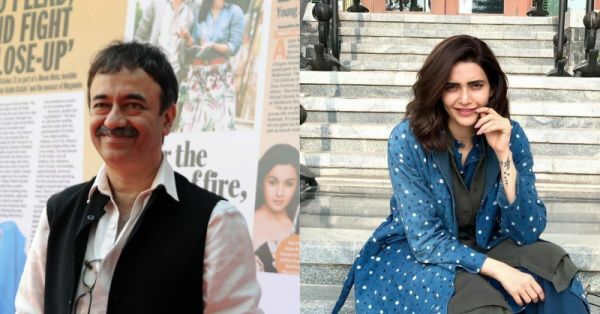 Vinod Chopra's wife, journalist Anupama Chopra, responded to the woman by telling her that VCF supported her and even offered to set up an internal complaints committee. Chopra added that she and her husband would continue to support the victim, after she let her stay over for two nights and urged her to seek professional help to cope with her trauma. 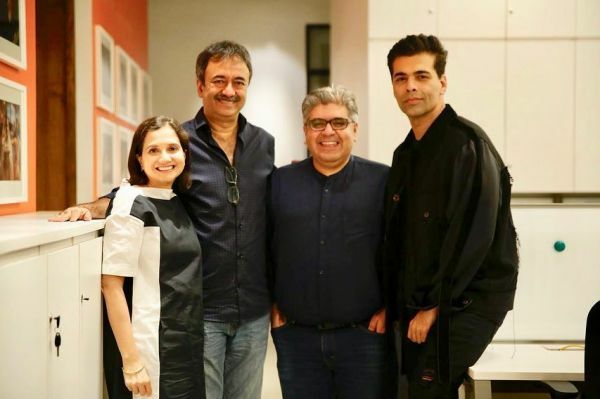 Besides, Hirani's name has also been dropped from promotional posters of upcoming movie directed by Shelly Chopra, Ek Ladki Ko Dekha Toh Aisa Laga, which was jointly produced by VCF and Rajkumar Hirani Films. Here's hoping the rest of the industry takes notes from the noteworthy example set by VCF on how to deal with a sensitive issue. Read to know more about the Me Too movement in India.